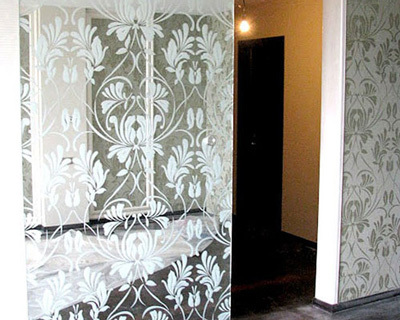 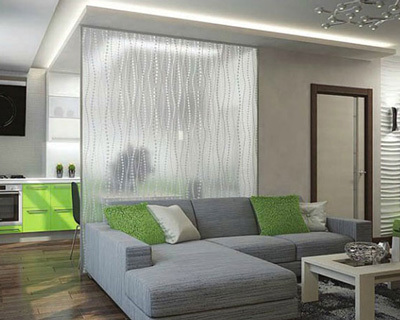 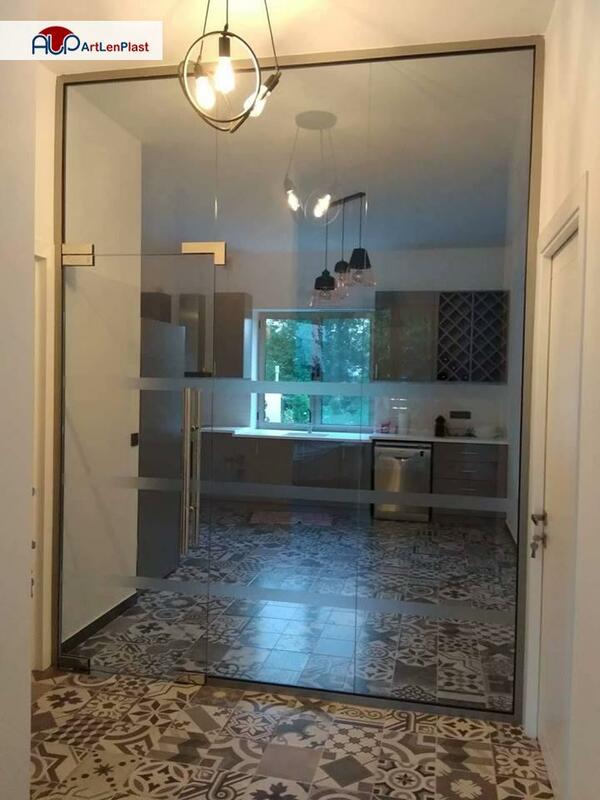 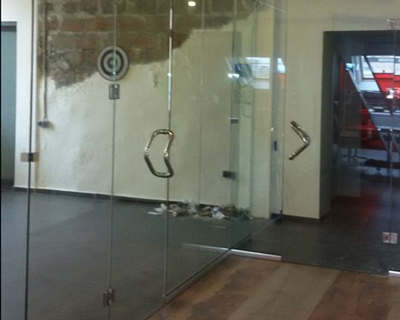 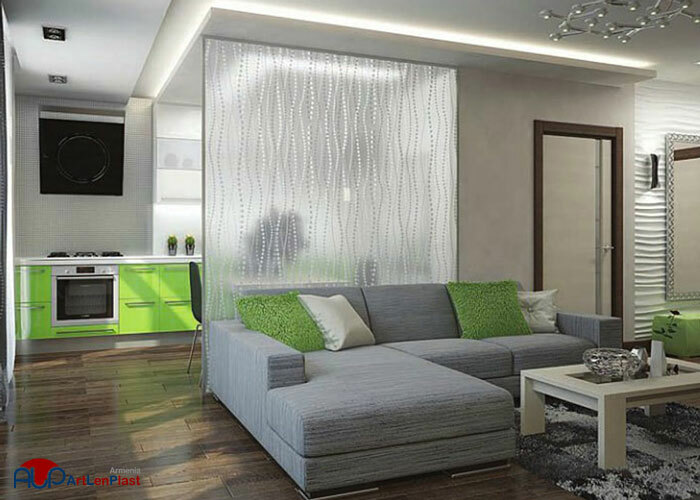 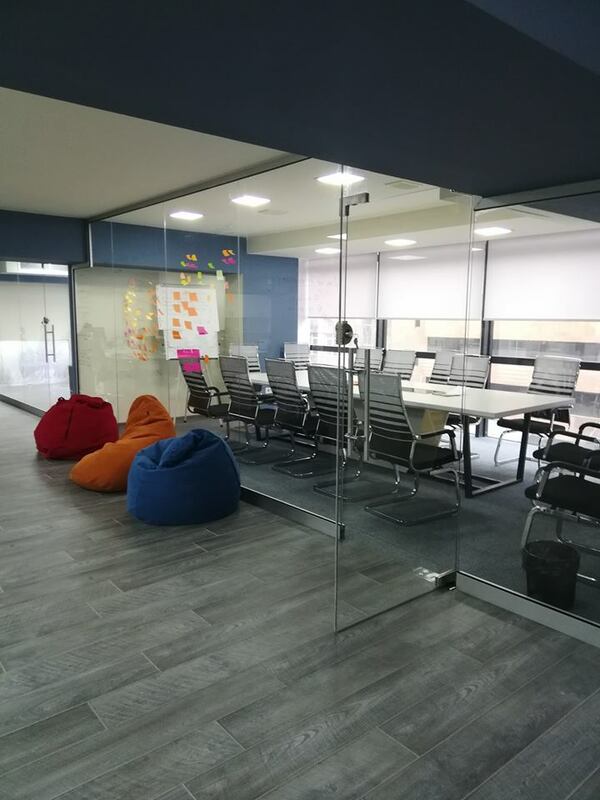 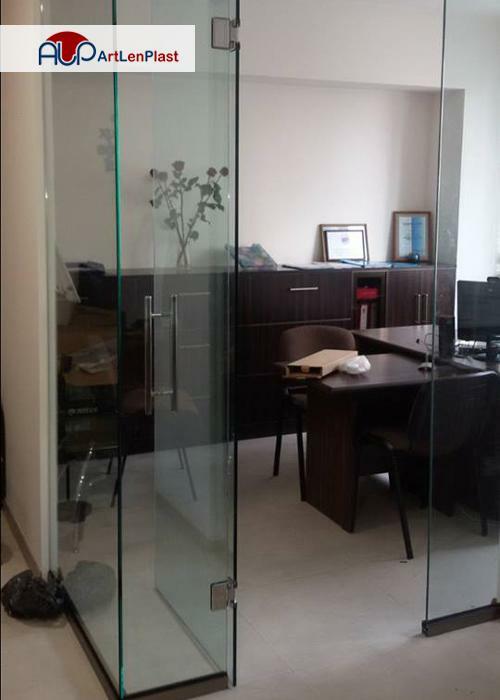 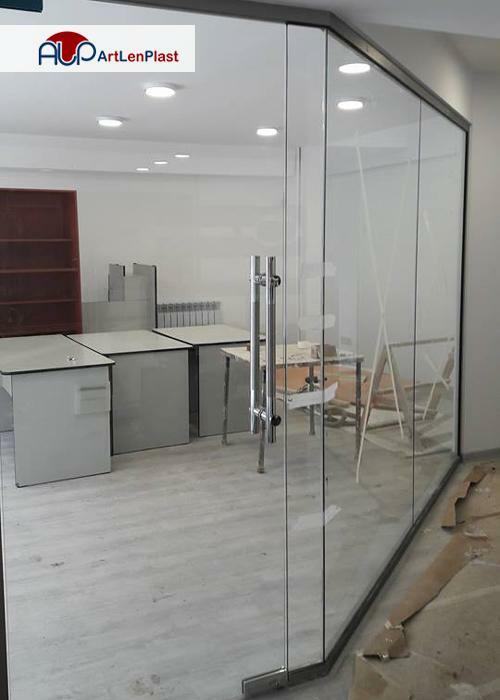 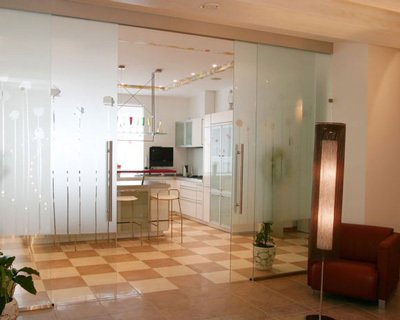 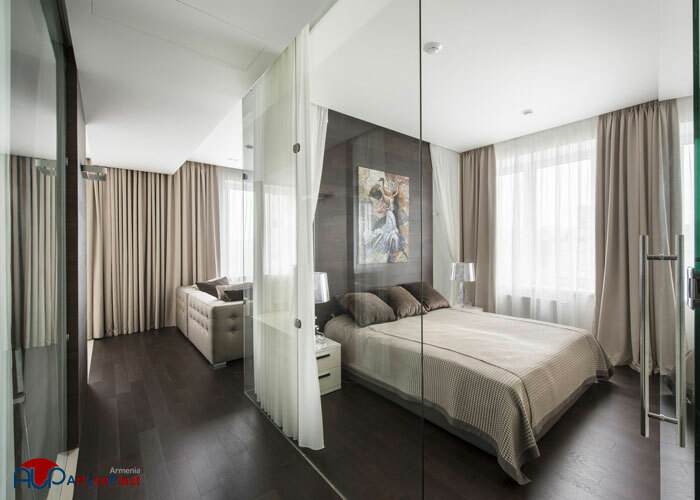 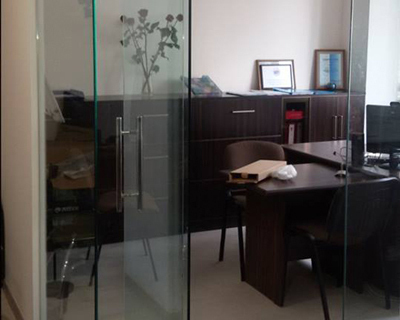 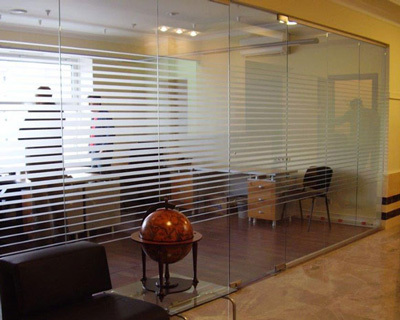 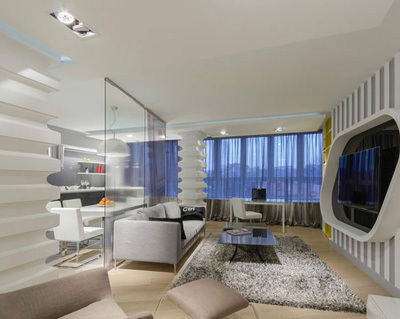 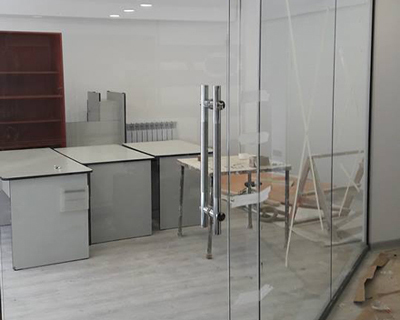 Glass partition walls in Armenia. 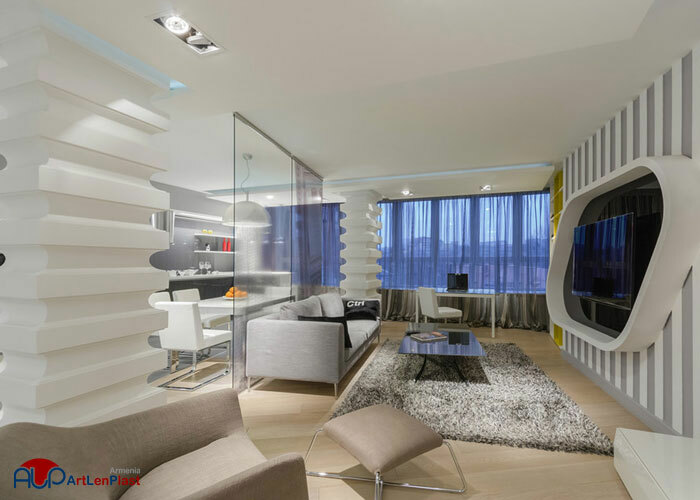 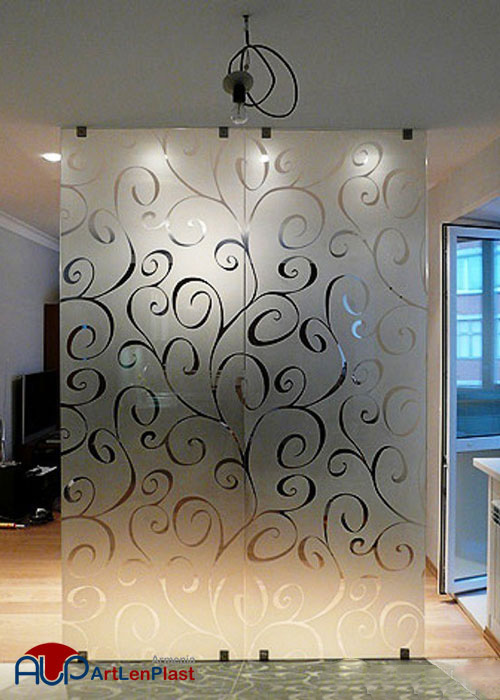 Rooms dividers for office. 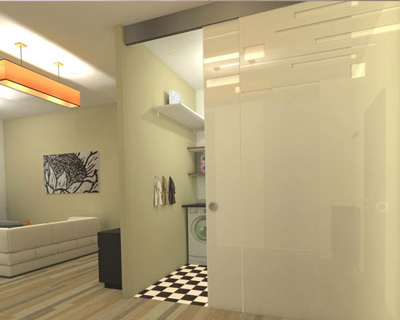 The reality is that our demands do not always match with the area and configuration of the apartments. 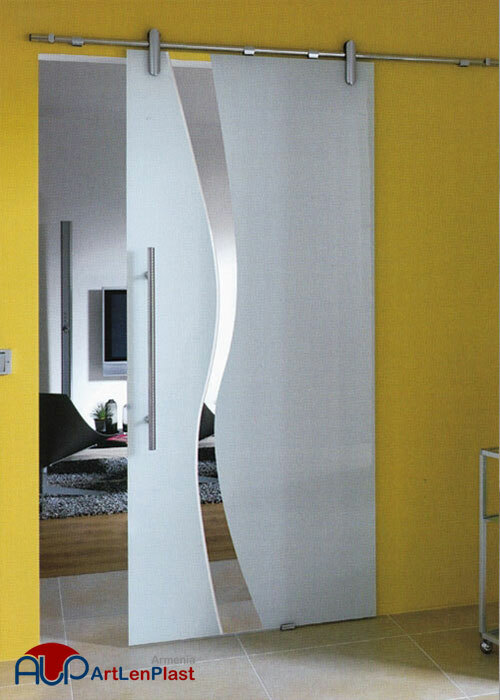 And then, in order to organize the space more functionally, some partitions need to be installed. 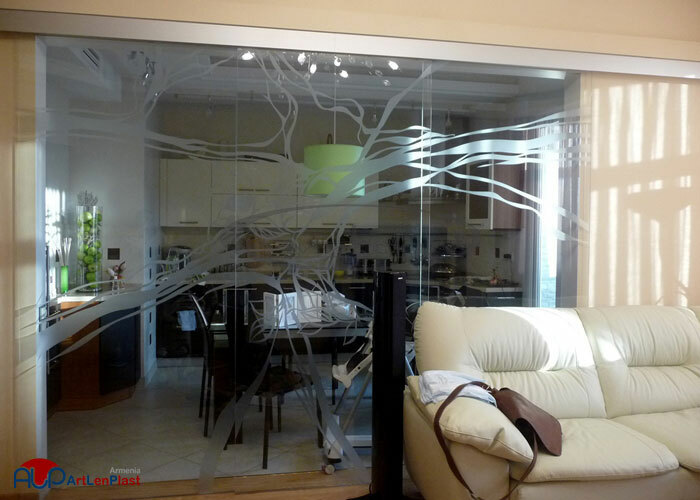 The plasterboard partitions all over the appartment will make it deaf and dark, so transparent glass partitions would be a unique solution for this situation. 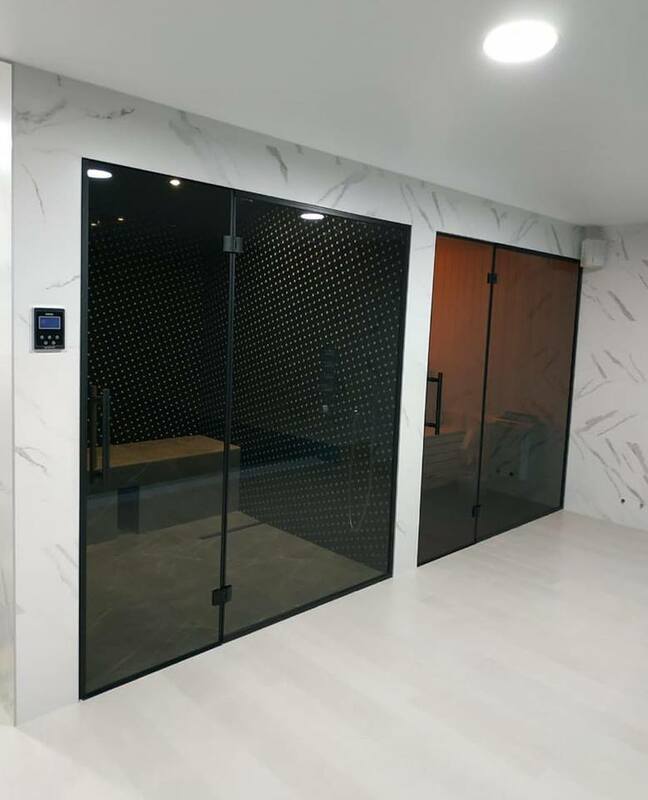 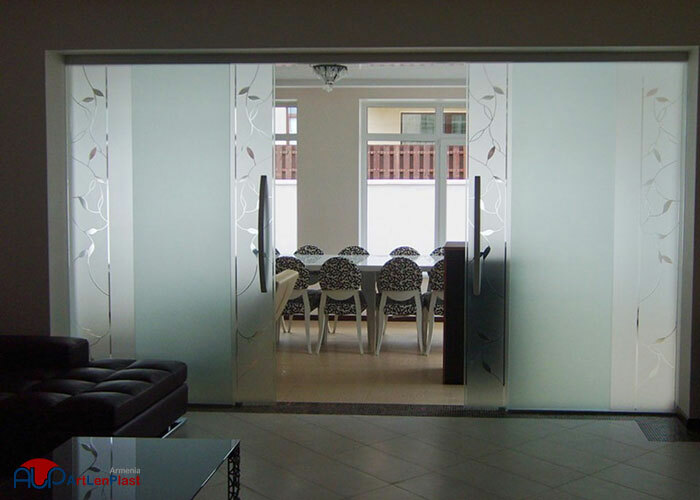 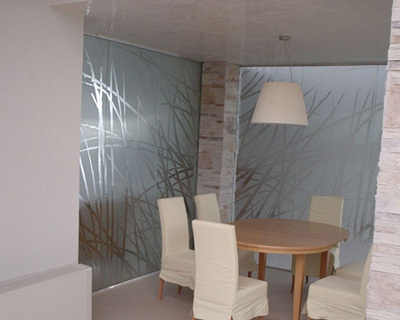 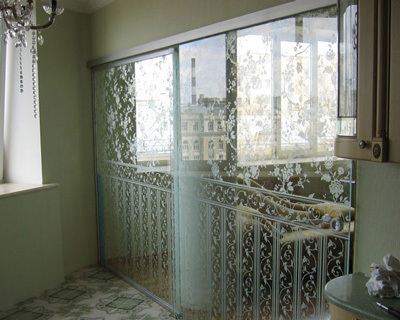 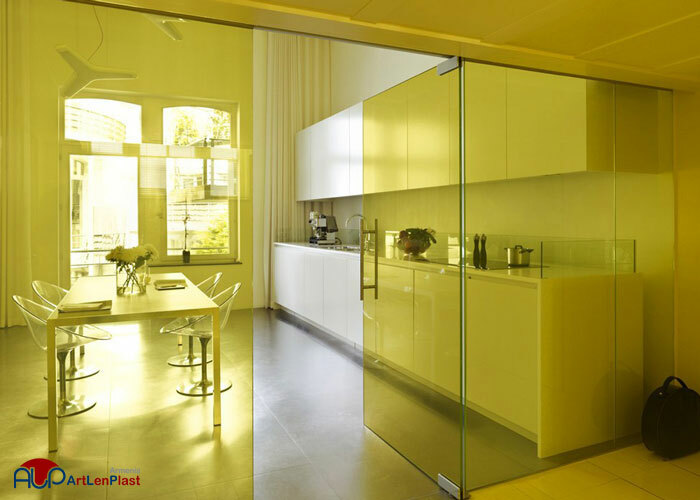 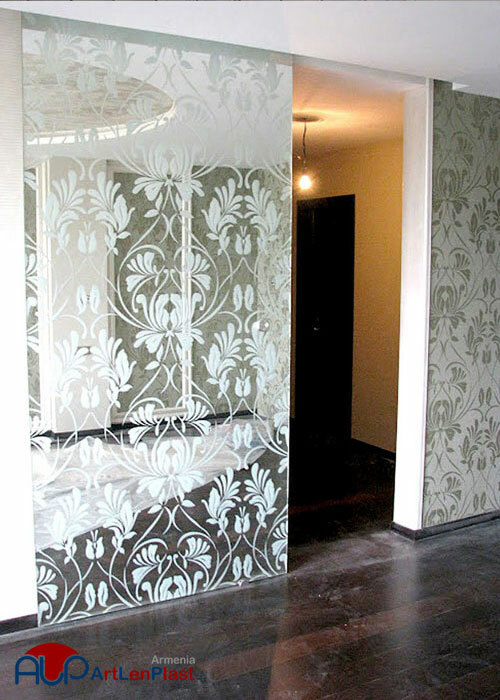 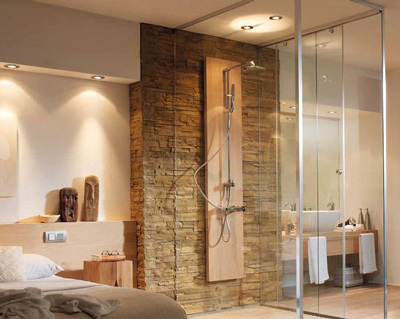 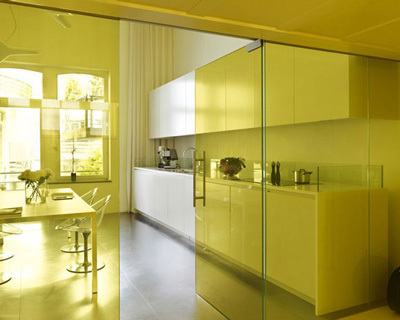 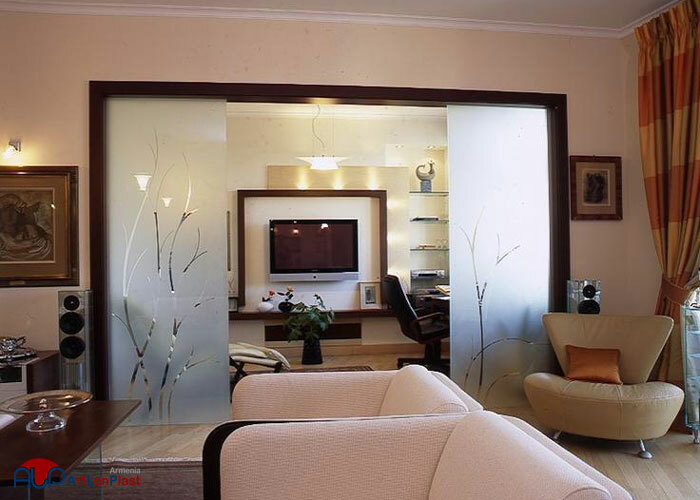 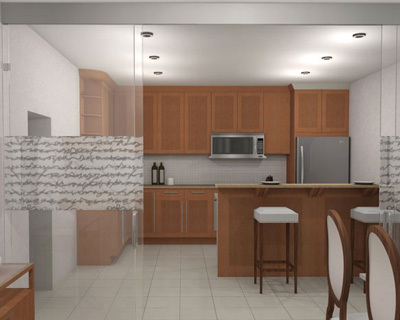 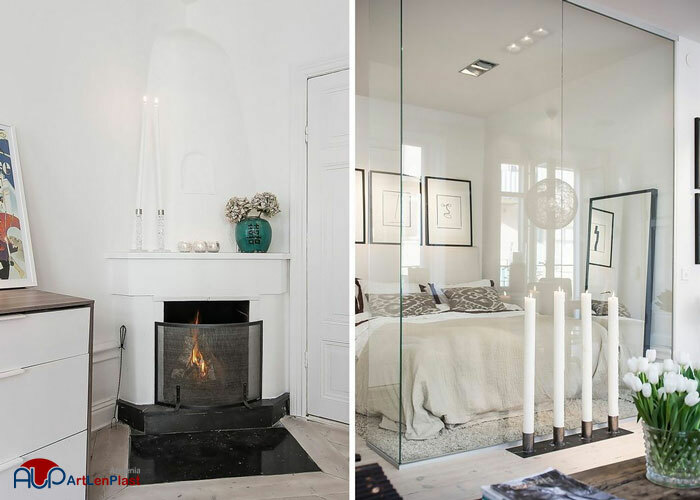 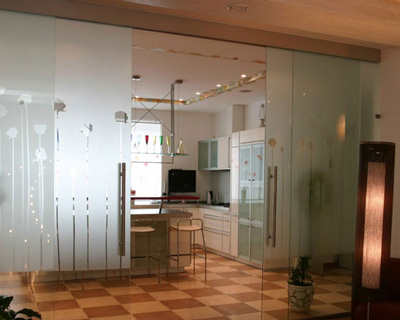 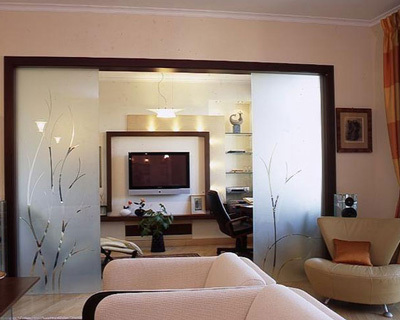 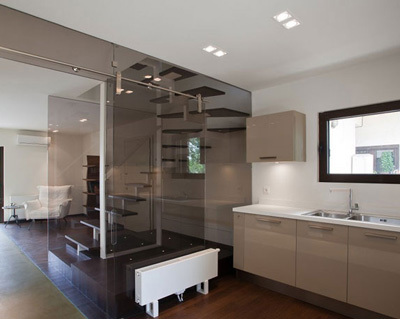 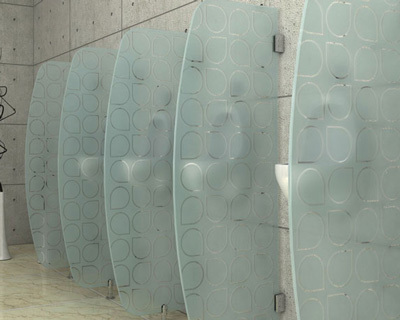 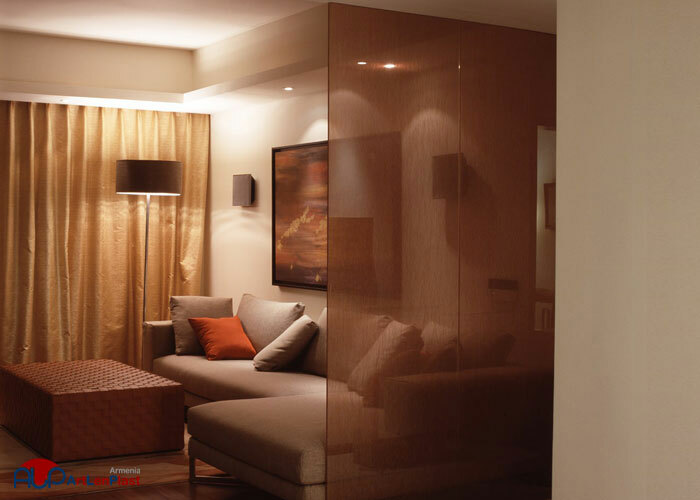 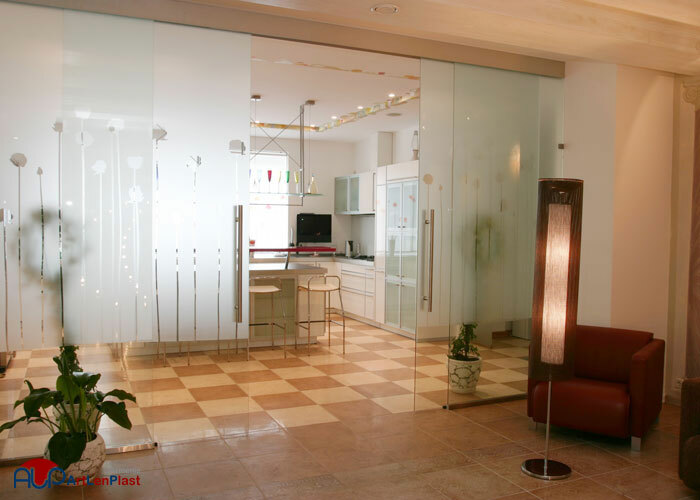 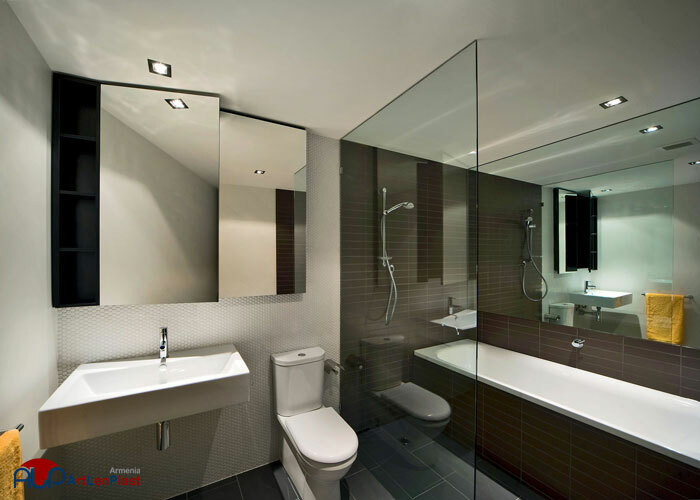 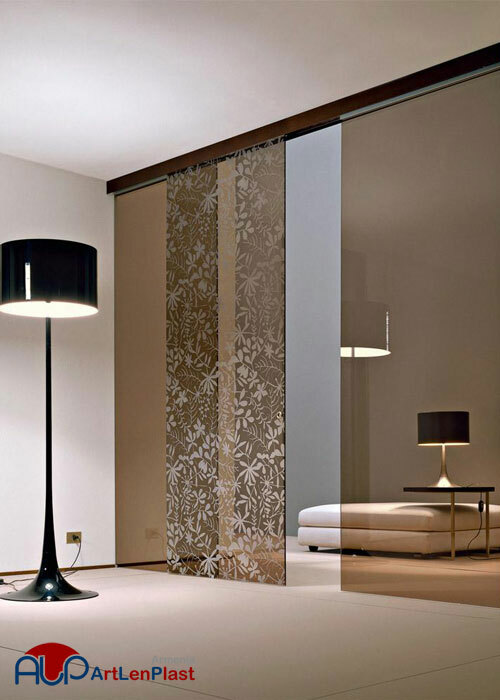 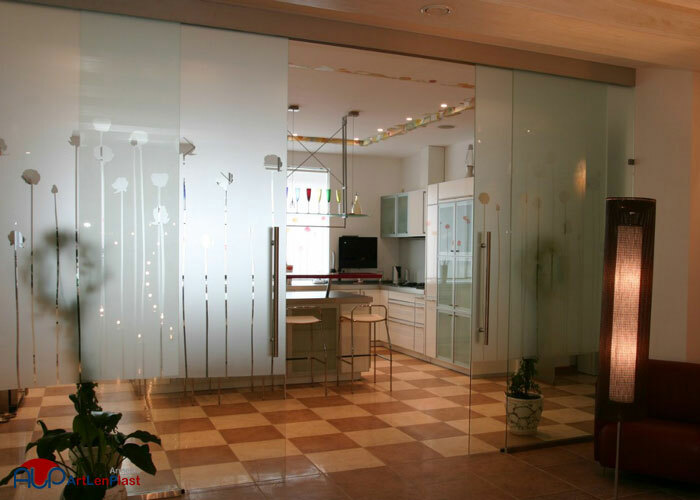 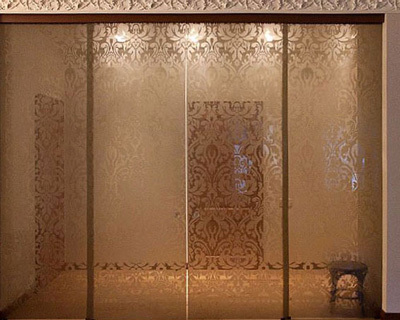 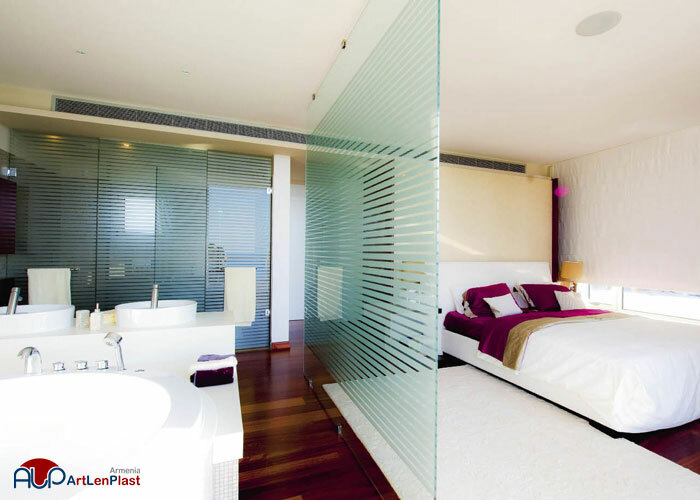 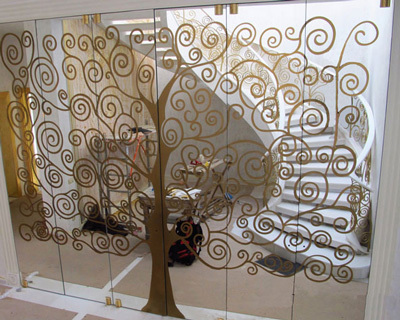 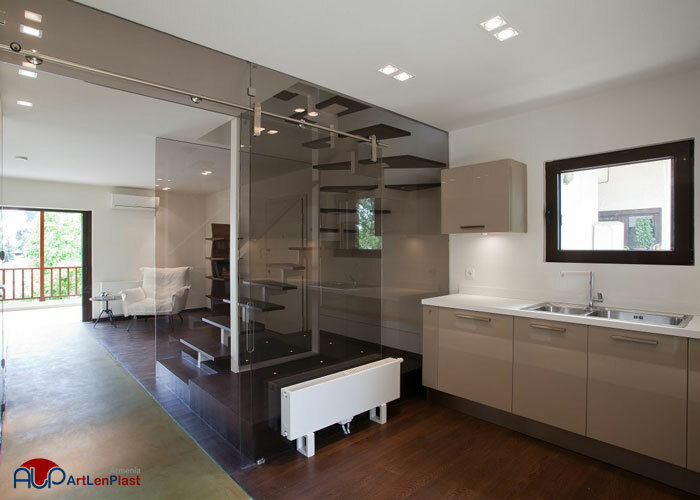 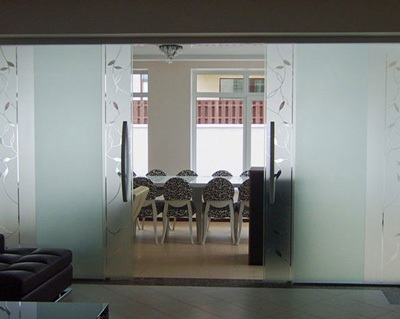 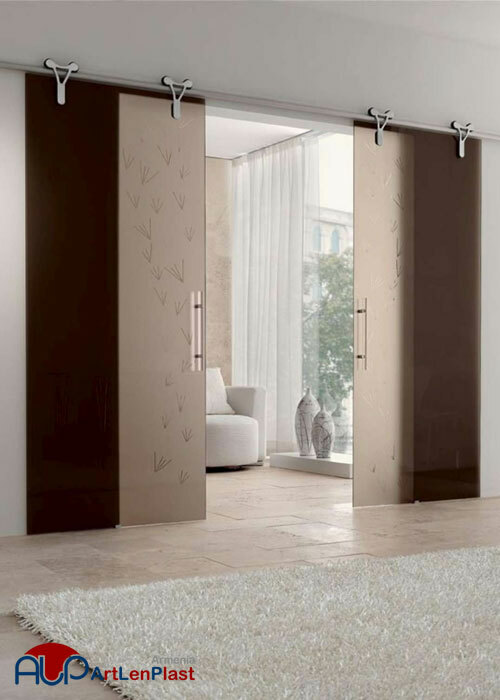 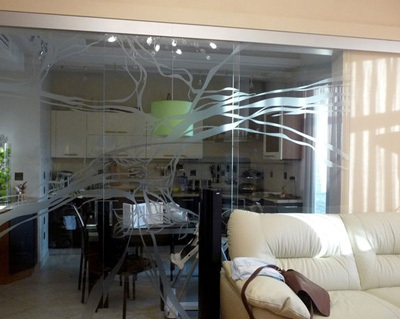 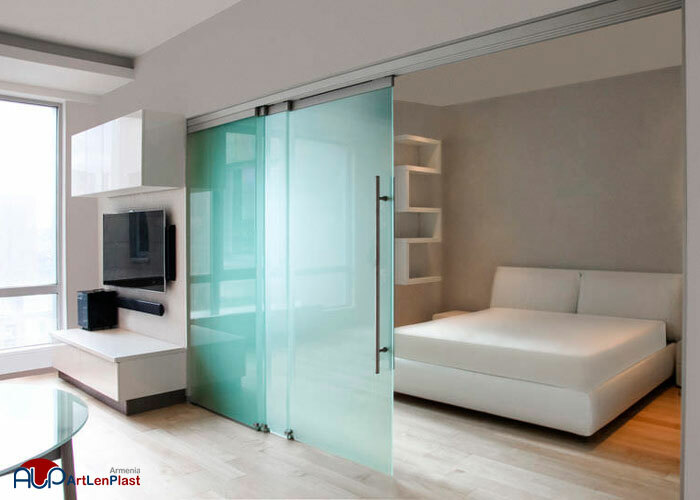 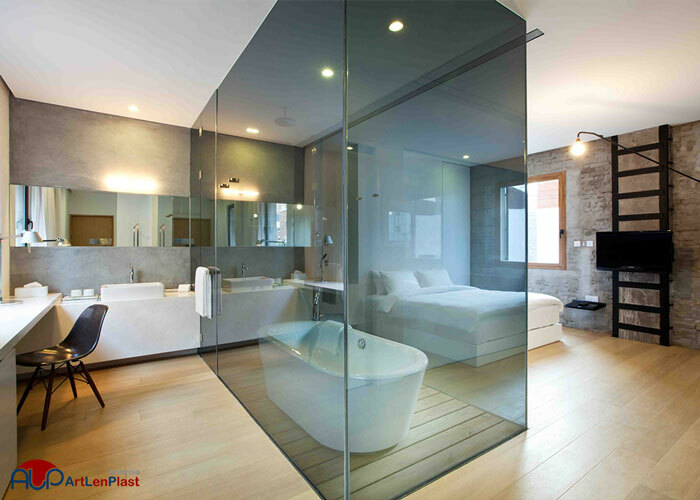 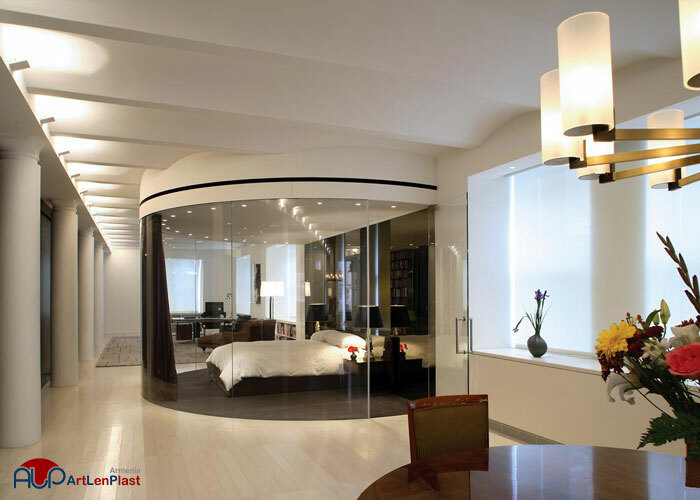 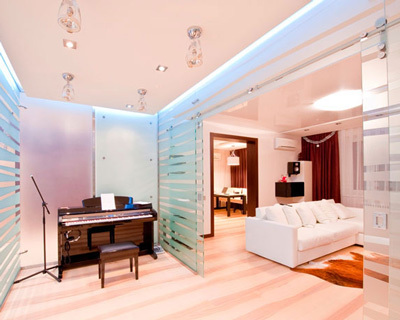 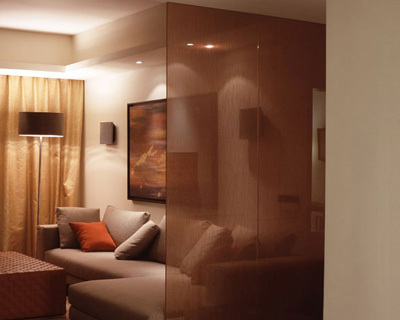 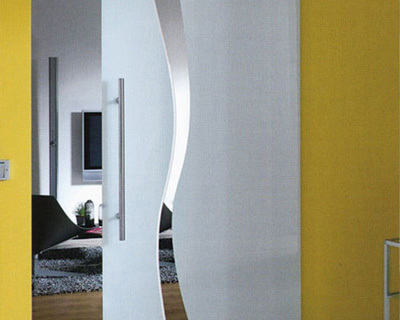 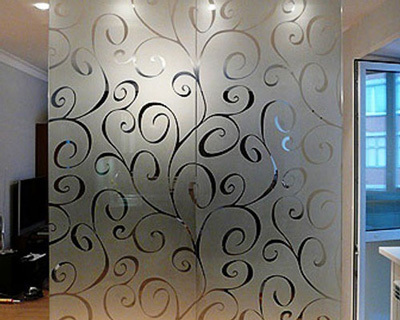 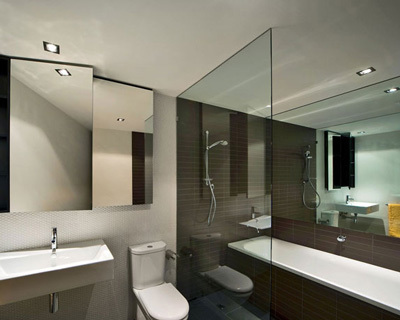 This glass partitions become very popular in living spaces. 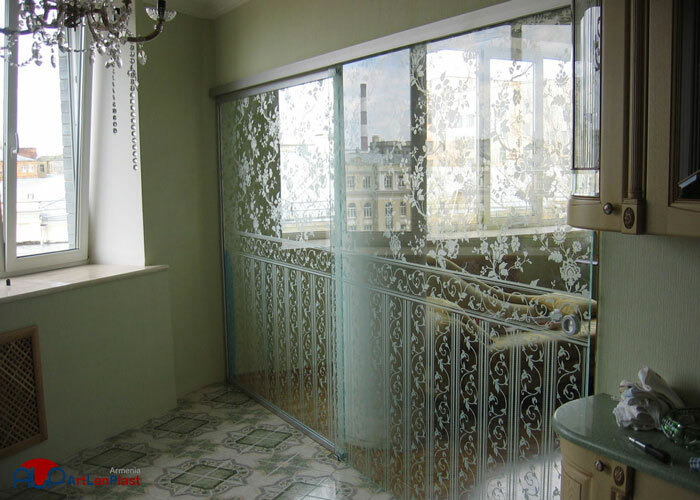 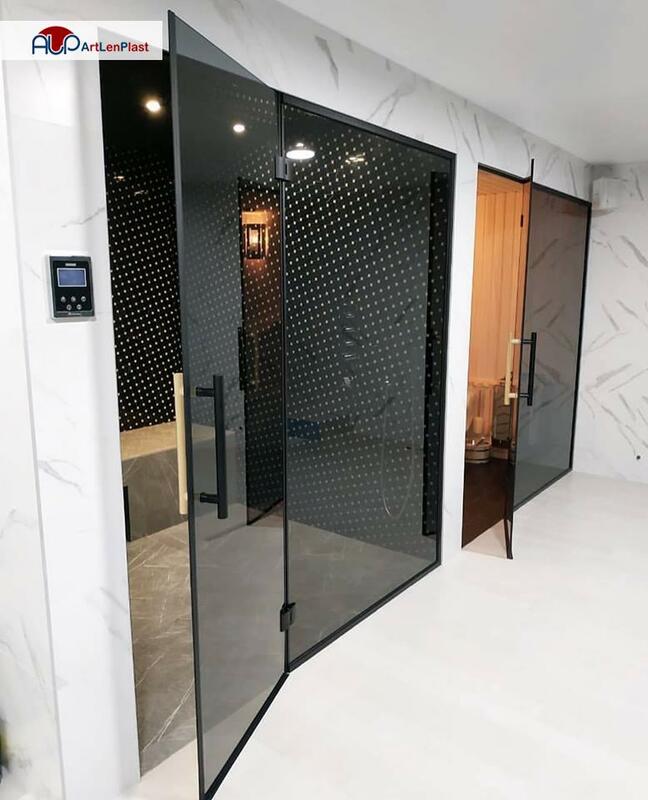  From the point of view of their design and security this constructions are considered perfect, as they are made of taughened glass, which in addition has other practical characteristics. 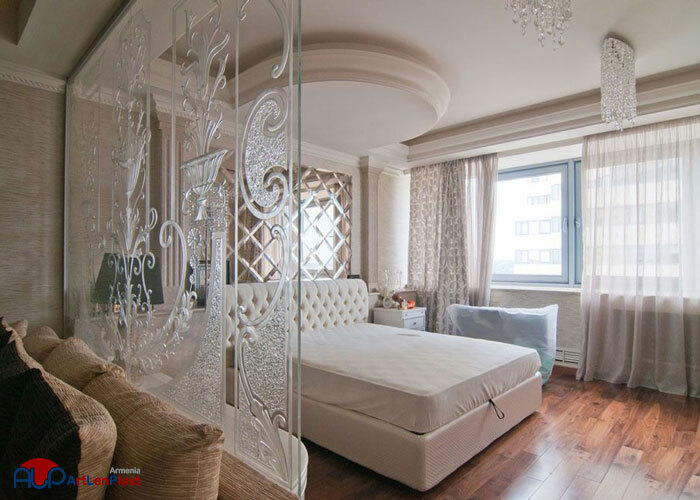 It can be washed easily, it doesn't rust or rot, and most importantly, it creates a unique beauty of interior design. 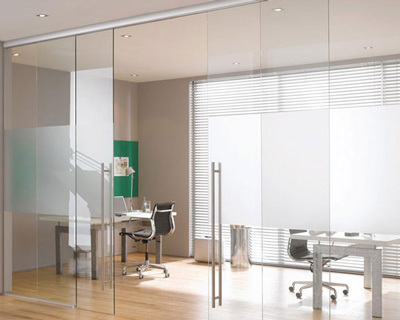 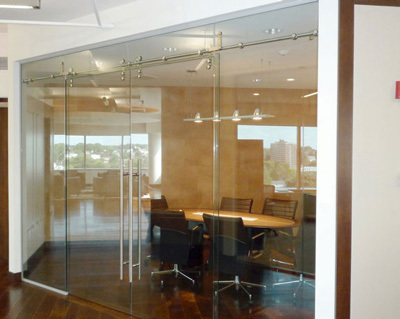 There are fixed and adjustable types of glass partitions. 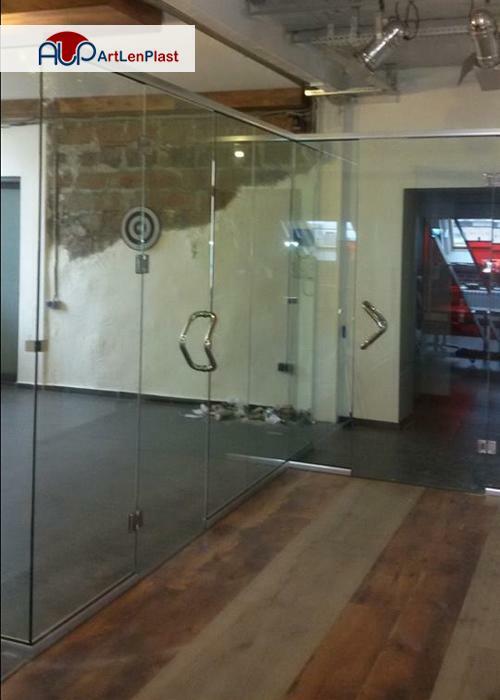 It's clear that fixed partitions create some kind of immovable wall. 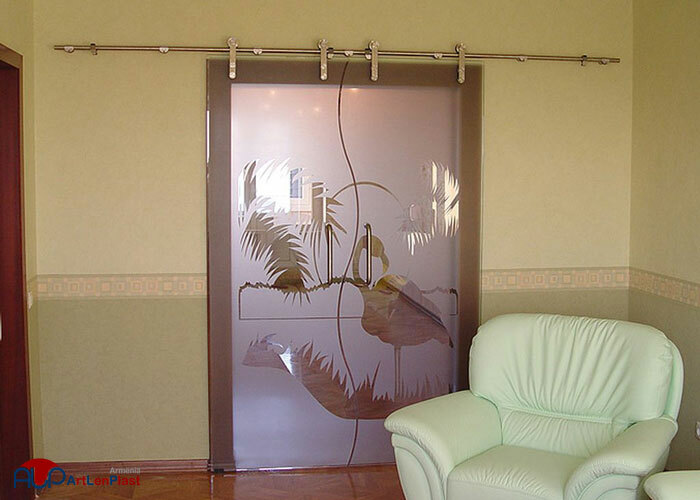 These types are used for zoning the rooms. 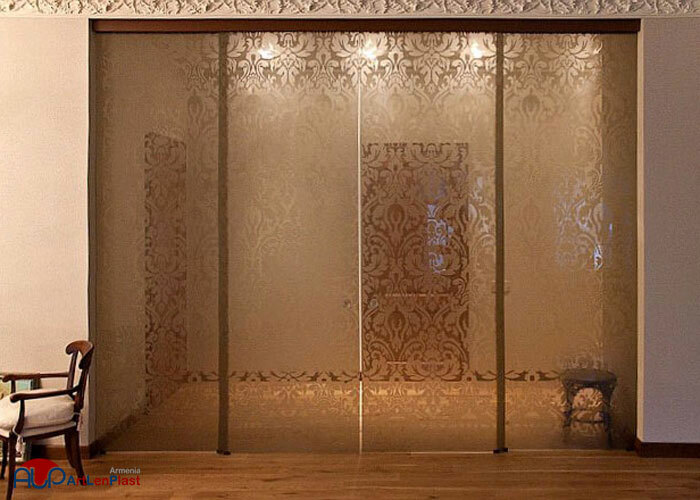 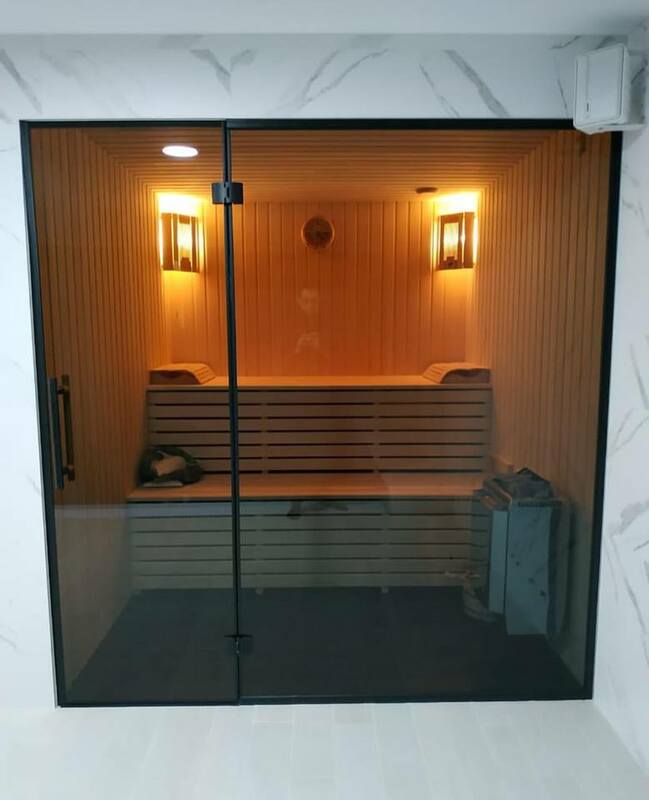 It can serve as an ideal version, if you want to visually and practically expand the room at the expense of another one, as well as if you want to create a barrier for smells and sounds. 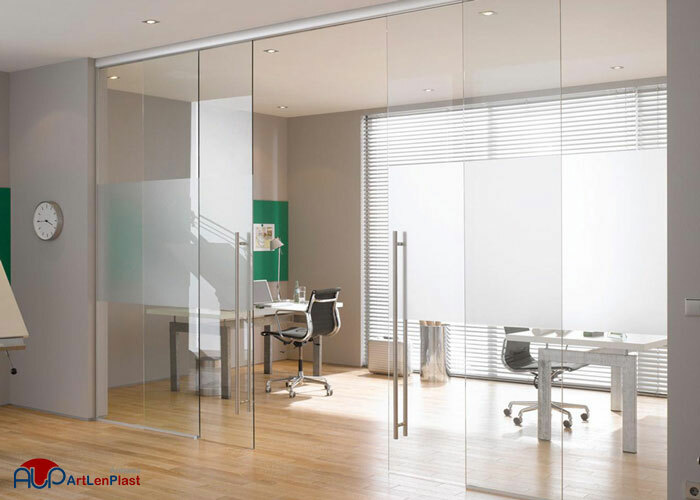 But if the partition is made of matt or painted glass, it can also create a barrier for visual perception, not limiting the light stream. 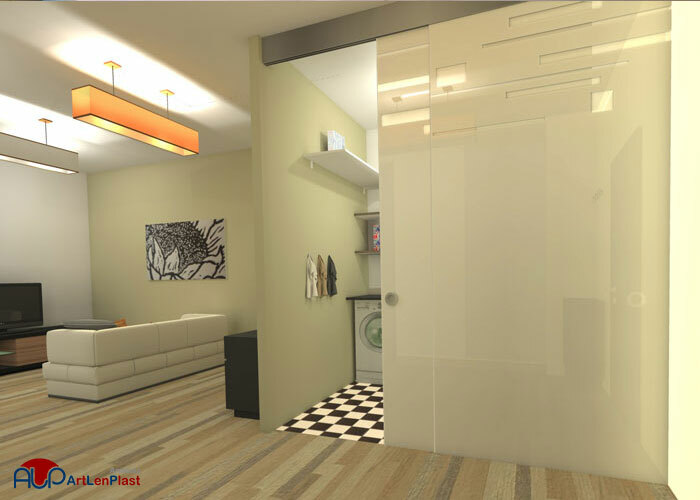 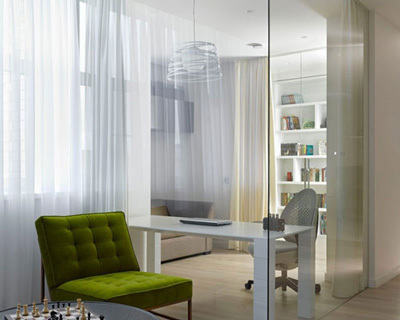 This is more actual in such rooms, where a space is separated for another area (office or bedroom), and in this case priority is to provide the closed space with natural illumination. 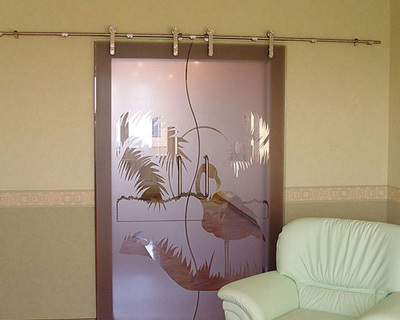 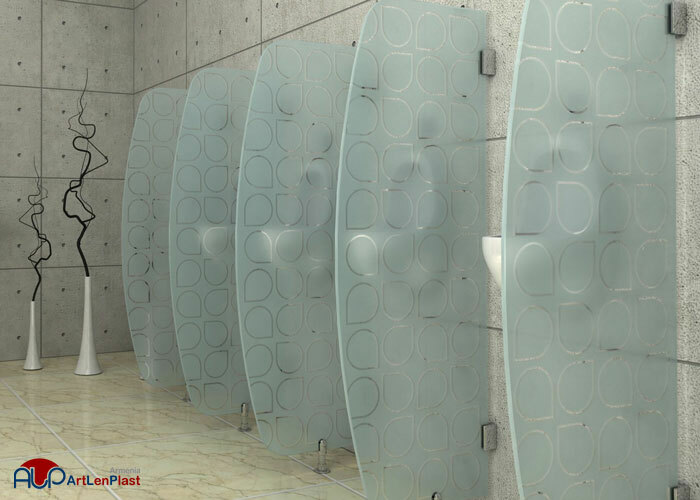 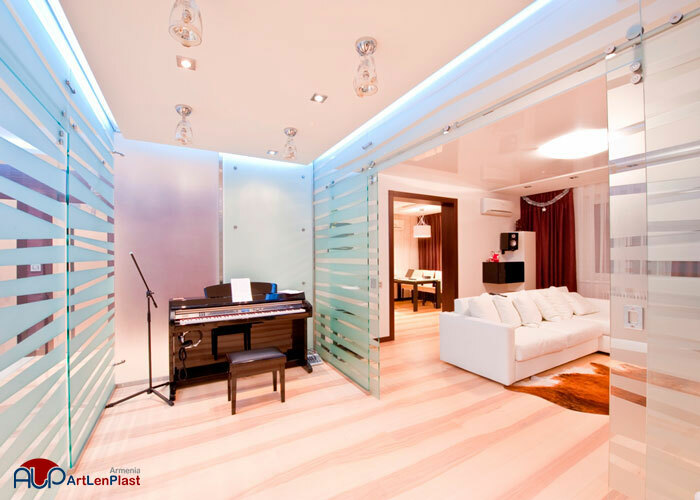 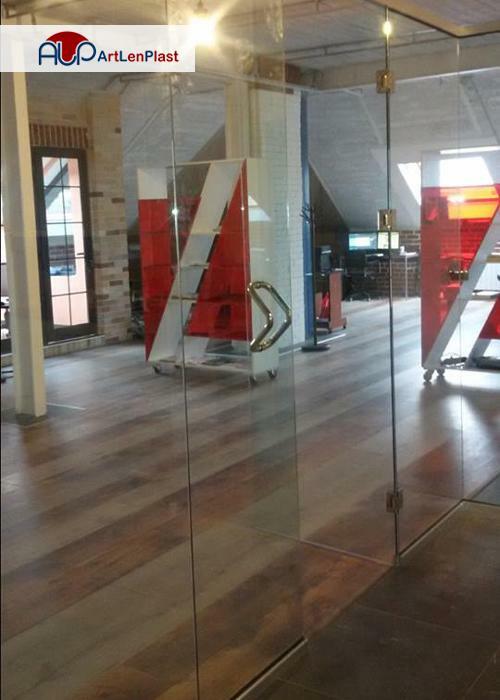 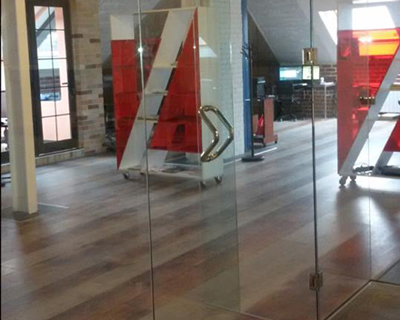 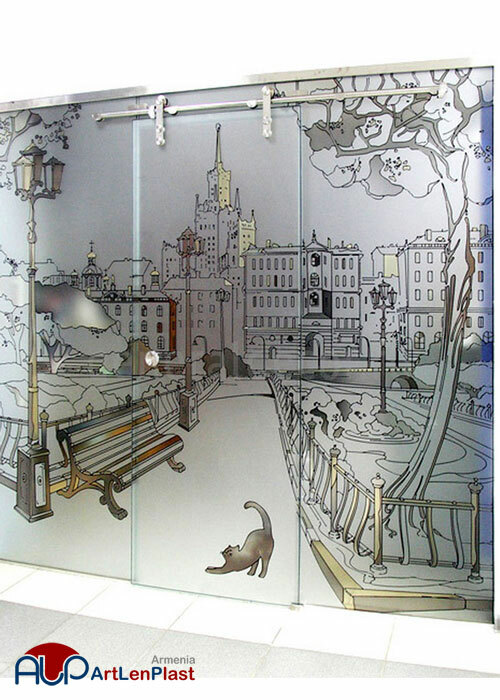 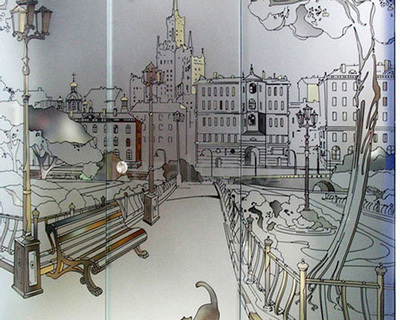 "Art Len Plast" company produces glass partitions of various sizes and styles. 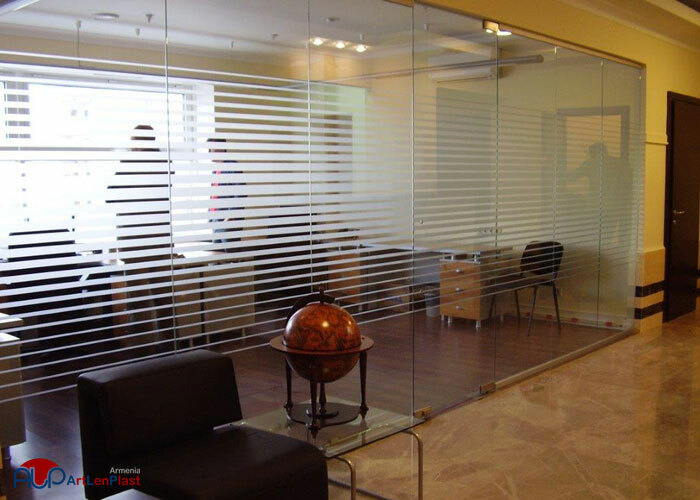 Our highly-qualified specialists provide consulting, design and installation in offices, shopping centers, residential and other spaces. 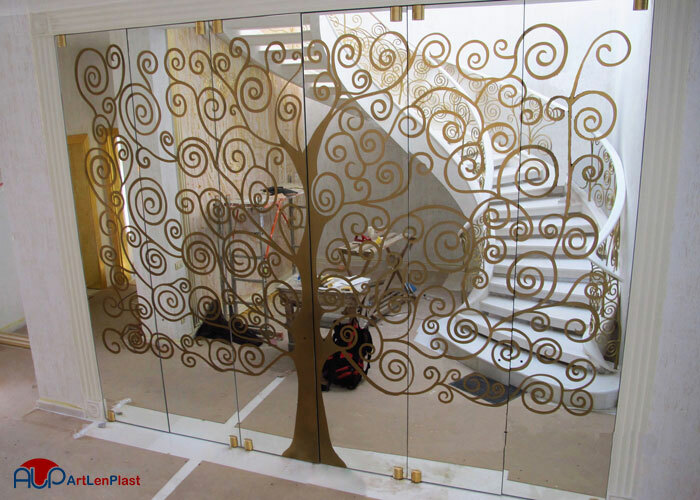 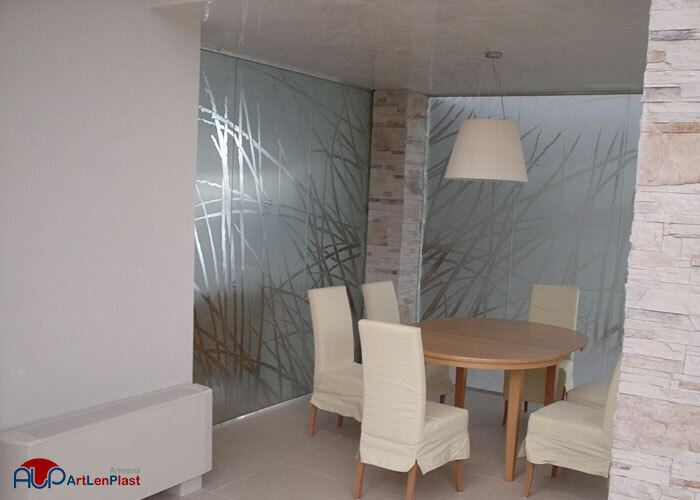 The company “ArtLenPlast” also carries out orders of the production of partitions with different sandblasting pictures. 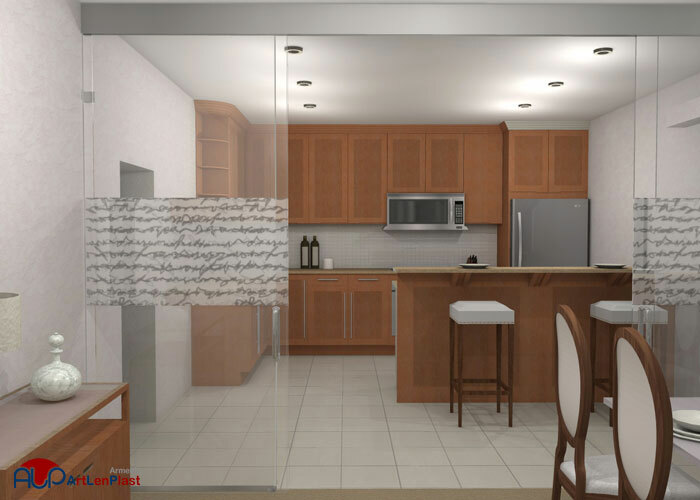 You can choose from models that are presented in catalogs.